Why do developers lean towards python? From cloud technology utilizers to startups, Python is a reliable open source web app development solution. And Macshell has the best talents to help you obtain the most advanced and effective web applications using Python language. We use proven framework and development approach to ensure quality and efficiency of development at the same time. Macshell has attained excellence in maximizing the programming language of Python. Our Python expert developers know how to create more with a very few code lines. This way, we integrate SEO-friendliness and strong user experience along with dynamic management and convenient memory management. Your business model can obtain all the desired objectives with our Python-focused development of web applications. In fact, we have satisfied hundreds of clients with Python development at Macshell. When you want to hire Python Developers in India, Macshell delivers all benefits of Python. Providing international standard Python solutions combined with other powerful technologies and secure database. Windows, Linux, AWS, Apache, Nginx, Gunicorn, EC2, S3, RDS, Rackspace, Ubuntu, GAE, FreeBSD, Panda. MySQL, PostgreSQL, MS SQL, GIT, SVN, Cloudscape, MongoDB, & RDBMS. Django, Flask, web2py, Nagare, OpenObject, Tornado, Odoo. Leading among all the Python Development Companies, we give you trusted quality in all desired application requirements. Choose our qualified developers to gain a dynamic website and web app development. We are experienced in turning ideas into reality with our app development service. Our ultimate Python development helps with feature-rich apps in your hands to lead the market you want to target. 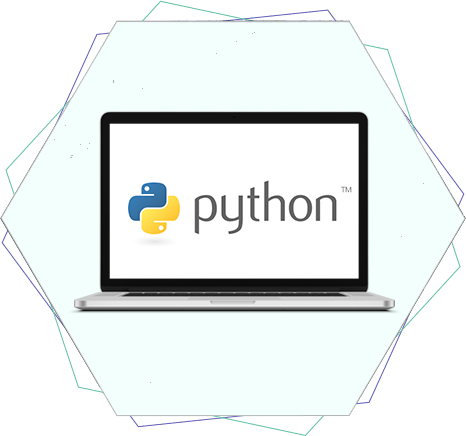 We can securely migrate your web applications to Python at cost-effective prices. Python programming specialists take care of convenient migration. We are accountable for the quality, functionality, and security during the migration till its successful completion. When you want to migrate to the latest version of Python, our programmers can help out. Our developers stay updated with latest Python upgrades. Hence, you can match the growth of your business by growing your Python apps with the service of our developers. Our team will analyse your current app conditions and create upgrades accordingly. We utilize most-effective Python frameworks to give you a successful software development. The frameworks such as Flask, Django and others are utilized to provide feature-rich app development service. You get dynamic apps with excellent usability. We can deploy the developed apps and ensure its smooth integration as well. We also offer core programming under Python with our expert assistance. With core programming, we ensure rich experience for users and highly flexible programming language. Our innovative approach presents the best versions of Python-based development work in front of you. Make your existing apps aligned with Python, using our Integration service. We can develop web app, CMS and other solutions with Python and integrate it into your existing system as well. Our developers evaluate the compatibility first. Then, the existing web apps are modified to become compatible with the new Python framework. The whole system is combined with the assistance of Python experts. Finally, you receive a full-fledged Python infrastructure in your company.